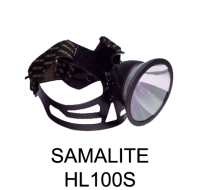 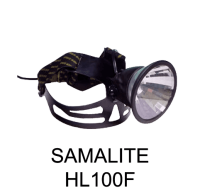 To explain: When wearing this head torch and looking straight ahead, out of the corners of your eyes UP, DOWN, LEFT and RIGHT this will also be lit up so there will be no dark areas left in your vision. 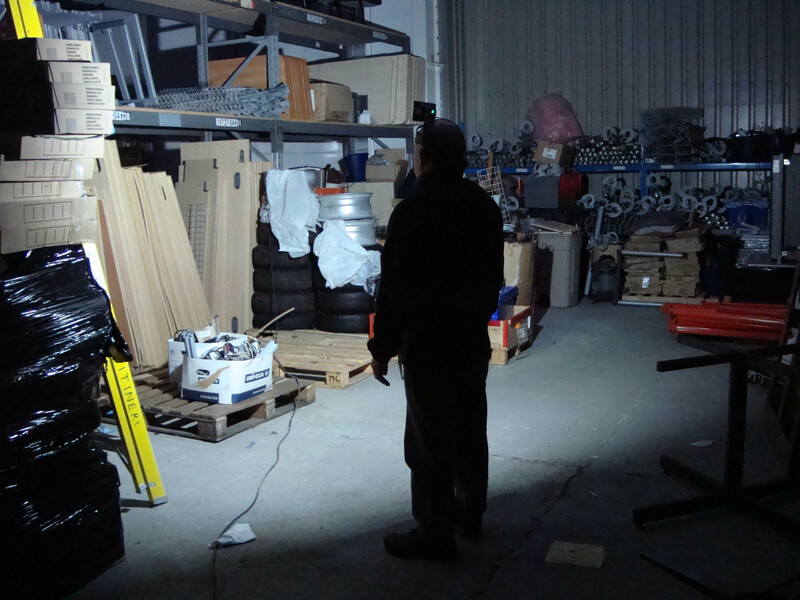 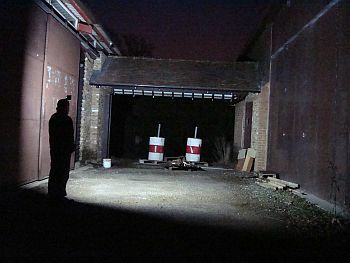 The HL1300W gives no concentrated spot beam as with conventional round head torches, but delivers an even anti-glare 180-degree spread of light, capable of lighting large areas outside, a loft, basement or room without having to move your head around to look at things. 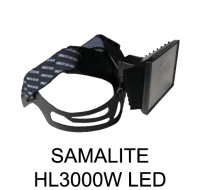 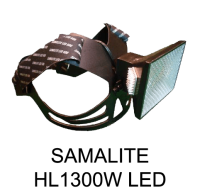 The Powerful HL1300W head torch with its 180-degree spread of light and anti-glare lens makes for very safe use around other people and drivers as there is no concentrated beam to dazzle them. 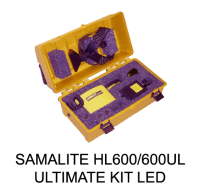 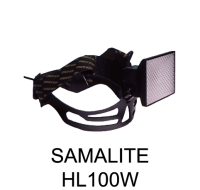 The Samalite HL1300W can be purchased with either dual small Li-Ion battery or Samalite Industrial BPNM9 or BPNM13 Powerbelt with a powerful 2200 Lumen Head Torch with extended run times of up to 7½ hours on high, 9½ hours Medium and 12 hours on Low. 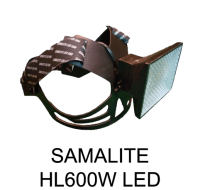 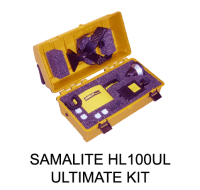 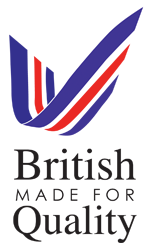 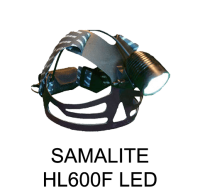 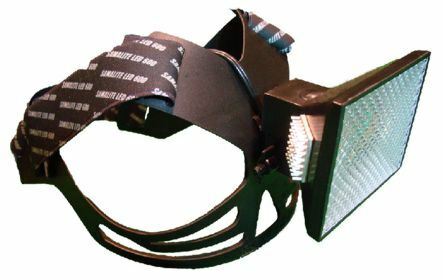 The HL1300W Head Torch gives out 2200 Lumens of light from the twin LED’s and the unit is fully weatherproof IP65 rated which is ideal for: Railway Workers, Water and Electricity Companies, Construction Workers, Plumbers, Electricians, Forensics, Crime Scenes, Mechanics, Building Installation Companies, Maintenance Crews, Underground Workers, and Professional Bait Diggers but also offers instant long lasting light for leisure use. Developed for high powered flood-lighting with an incredible 2200 LUMENS with three brightness levels.